HTC is excited about the new features in Android L release and we can’t wait to share them with you. 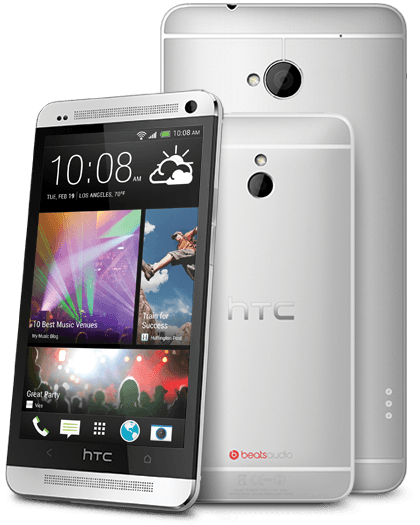 We are committed to updating our flagship HTC One family as fast as possible as part of our HTC Advantage program. We will begin rolling out updates to the HTC One (M8) and HTC One (M7) worldwide within 90 days of receiving final software from Google, followed shortly thereafter by other One family members and select devices. HTC Advantage protects your smartphone investment, ensuring you have the best smartphone experience long after purchase. So, yeah, all the One phones from the original 2013 One onward should get L, starting with the One M7 and M8. The One Max, One Mini and One Mini 2, and probably at least some of the more esoteric HTC phones released in China and other emerging markets like the One E, will also be updated sometime later. Here is where we point out that we don't know when Android L will be released (though late fall or early winter 2014 is a good bet), so HTC's promise doesn't mean a whole lot at the moment. Also, American readers should remember that carriers get the final say on software releases. While the Big Four have been getting better about this lately, that still means a delay of anywhere from a few weeks to several months after the international version of your hardware is updated.